Guests sit around the fire at company Christmas party. Friday night I drove all the way down to the bottom of Orange County to bartend a company Christmas party in San Clemente. This was the fourth time I have gone to Orange County in the past thirty days. I am finally getting to know my way around OC, and I used to always get lost down there behind the “Orange Curtain”. San Clemente is a beautiful place indeed and it must be a pleasure to live there. This company Christmas party I did was a referral from another client I had in San Clemente, which is always nice. I worked with the host to come up with a drink menu and shopping list. The host wanted three holiday specialty cocktails and they chose a Gingerbread cocktail, a Candy Kane cocktail and a Pomegranate Margarita. All three drinks were a hit with the guests. Taquizas Armeria Colima (714) 904-4949 of Orange County provided the catering and they served some great tacos. The host also served some really good homemade eggnog, of course spiked with Maker’s Mark. In the end I served various shots, including a gingerbread shot, and Kamikazes. The hosts were very happy with my service and said they would hire me again next year. The secret to being successful as a private bartender is showing up early, being prepared, and being of maximum service. Everything seems to fall into place if I consistently do those three things. So far I have done over 300 events as Shaken Not Stirred and have yet to receive a bad review. 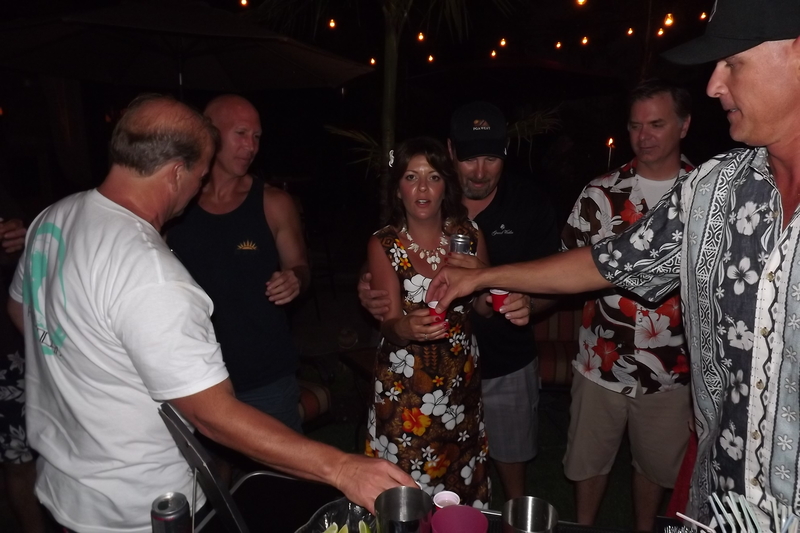 Saturday night I traveled south to Orange County to bartend a surprise birthday party in San Clemente. 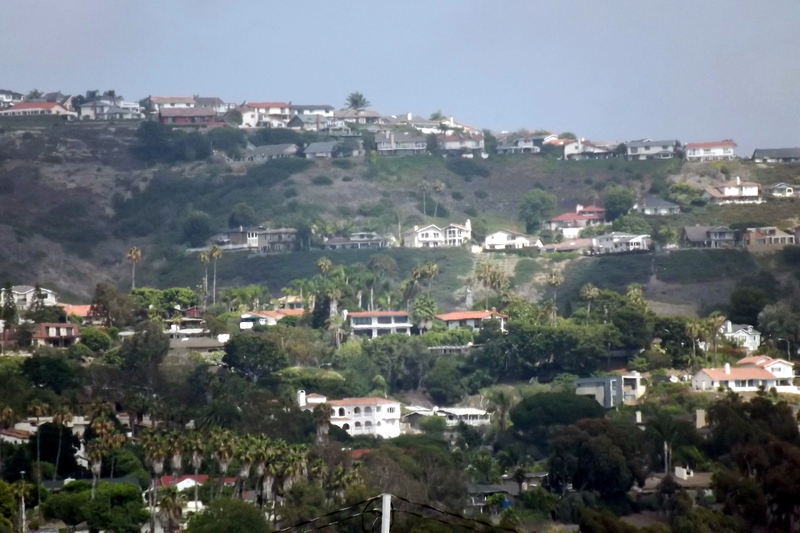 San Clemente is one of the true gems of Southern California right on the border of Orange/San Diego Counties. You really couldn’t find a nicer place to live anywhere in the country. The host had done extensive planning to pull off this event as a surprise and was quite successful – her husband was totally surprised. I must say I was very impressed by how much the host had put into this event. She had photo shopped pictures of her husband with various celebrities and it had me fooled. I wondered who is this guy? She had made a surf/Hawaiian theme and the back yard looked incredible. I set up my portable bar on a little section of lawn and it fit just perfectly. They had artificial grass at this house, and I must say it looked very nice and was perfect to set up on. The host and I did a lot of planning on the drink menu. 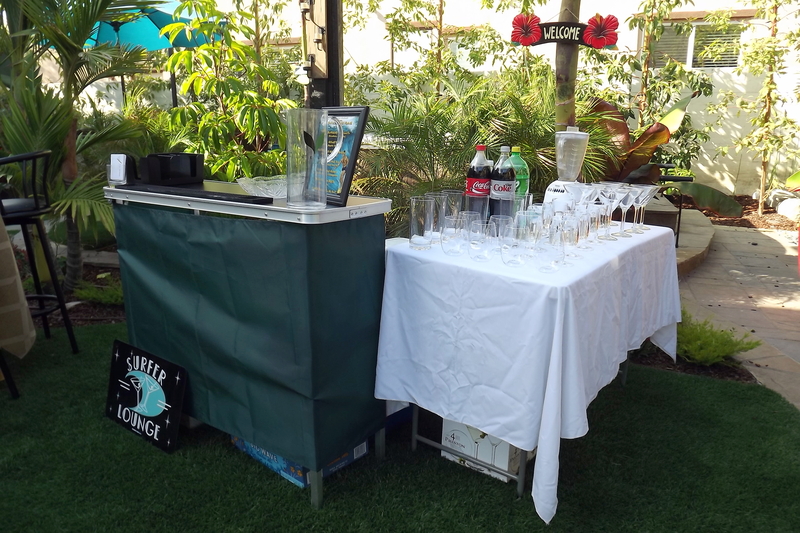 I served Mojitos, Pom Martinis, Bellinis, Margaritas, blended Strawberry Margaritas, and Coors Light. The birthday boy was Coors Light man and the beer went fast. We ran out of beer before the party was over, but one of the guests came to the rescue and brought more. Every crowd is different and it is hard to gauge what people are going to drink the most of. 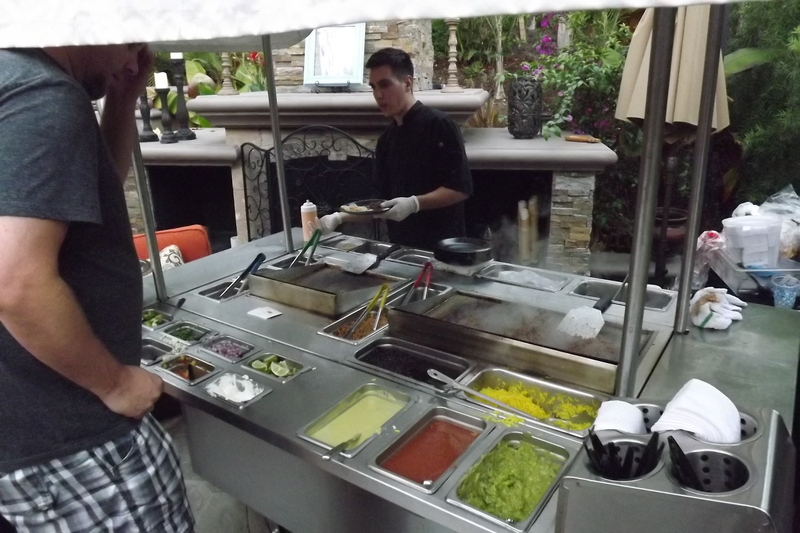 did the catering and they served up some awesome fish tacos and regular tacos. Overall it was a very nice event and a great group of people. I am tired after doing three events this week and only hope I will be this tired every week. Shaken Not Stirred as a business is really taking off and I am grateful. I hope to keep up the momentum.